Oh my. 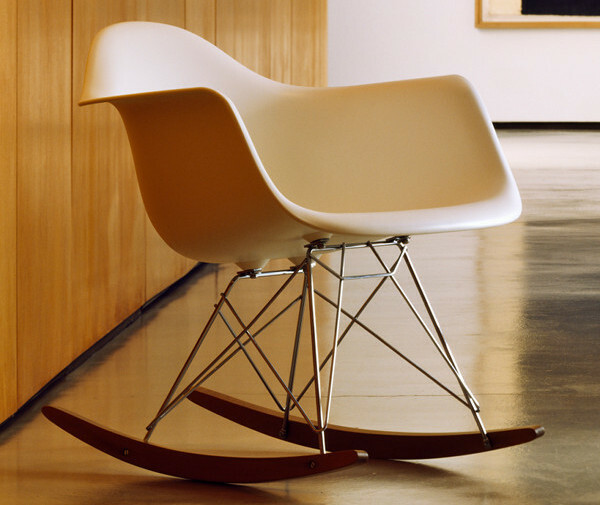 It’s the actual, authentic Eames RAR rocker! Something missing from your perfect nursery? It might be this rocker, originally designed in 1948 by husband and wife design duo Ray and Charles Eames. It manages to be both vintage and modern at the same time – which means there’s hardly a design aesthetic it won’t fit. Of course, we’ve mentioned before what a classic nursery rocking chair it is and here’s the great news – you can pick it up from Living Edge for $695. It’s a classic design piece, and more than that – it’s really comfortable! This is not any replica, it is the real deal. It’s the kind of piece we love here at Babyology, because it’s so versatile. Pick your colours right (there are five available) and it will easily make the transition from nursery to playroom to lounge room, so you can keep loving it right through to the middle of this century. Feeling the need for more mid-century cool in your life? Get some inspiration from our other posts on all things Eames-inspired.